Fabien’s practice focuses on appellate advocacy, white-collar criminal defense, intellectual property litigation, and complex commercial litigation. 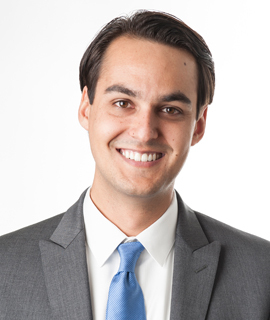 Prior to joining the firm in October 2015, Fabien clerked for two federal judges and worked as an associate at Morrison & Foerster LLP. Co-authored briefs in Second Circuit appeal of former New York Senate majority leader Dean Skelos, resulting in vacatur of all counts and remand for new trial. Lead associate in multi-jurisdictional trademark and copyright infringement litigation by major entertainment company against mobile app developer. Co-authored merits amicus brief for several technology companies in Oil States Energy Services, LLC v. Greene’s Energy Group, LLC, a Supreme Court challenge to the constitutionality of inter partes review of patents. Co-authored cert-stage amicus brief for the RIAA in Universal Music Corp. v. Stephanie Lenz, which involved issues of standing and liability under the DMCA’s notice-and-takedown procedure. Lead associate in breach of contract actions prosecuted and defended on behalf of major entertainment companies. Representing prisoner pro bono in Second Circuit civil rights appeal. Representing defendant in multi-defendant prosecution in state court for healthcare fraud, grand larceny, and unauthorized practice of dentistry. Represented documentary filmmaker pro bono in successful attempt to retrieve contractual royalties and terminate copyright license.